“Well, why don’t you please ask one more question?” The woman snapped sarcastically as I leaned over the mixing bowl interestedly to ask what she was adding to the flour. Blinking back confused tears, I quickly exited. The visitor in my grandmother’s kitchen was unknown to me—an interloper. Grandma seemed to always have one house guest or another, and this one hadn’t gotten the message that I was a welcome addition to the kitchen, in fact vital to its function in my nine-year-old mind. Grandma had a completely different way of folding me into the quiet rhythm of her kitchen as easily as she folded fluffy egg whites into her waffle batter. There you go…yes, yes, gently…turn it right over…see, now the egg yolk isn’t broken! She'd say, coaching me to cook an egg over easy. Grandma was a foodie before the word was ever in vogue. She introduced me to wonders I couldn’t have known otherwise, growing up in a small New Mexico town: foods like chop suey from a passed-on recipe, as well as other culinary surprises gleaned from her travels and many friends. I feasted on whole pieces of juicy coconut she’d cracked herself from the shell or taste in wonder the hitherto unknown to me combination of crisp apple dices paired with nearly translucent slices of red onion in a spinach salad. We sampled local fare together: tamales, enchiladas, sopapillas, and on one memorable occasion, crispy Native American fry bread cooked in an iron cauldron over an open fire. And she wasn’t the only family foodie. My Papa’s secret recipe spaghetti sauce was legendary, along with my mother’s fried chicken and my Nana's monster cookies. In the green Jell-O and margarine laden era that was the 1970s, I realize now what a gift real food was. While the rest of my siblings scattered when it came time for food prep, I’d watch, transfixed, as my mother breaded chicken or chopped an onion. She taught me to simmer, broil, and baste, and test a cake for doneness with a toothpick (and to clean up my messes after I’d destroyed the kitchen). When times got a little leaner and my mother returned to school to finish her nursing degree, I broadened my repertoire beyond the pancakes and “SOS”-- looked bad but tasted delicious--my dad produced for late dinners. Poring over our family’s stained red plaid Better Homes and Gardens cookbook, I attempted new recipes which my family gamely consumed whether burned or no, simply because we couldn’t afford to waste ingredients. When my mom began working shifts at the hospital and clinic, she’d often call and ask me to start dinner before she drove home. I’d happily shoo my siblings out of the kitchen and take command, browning meat for tacos and tearing lettuce for salad. 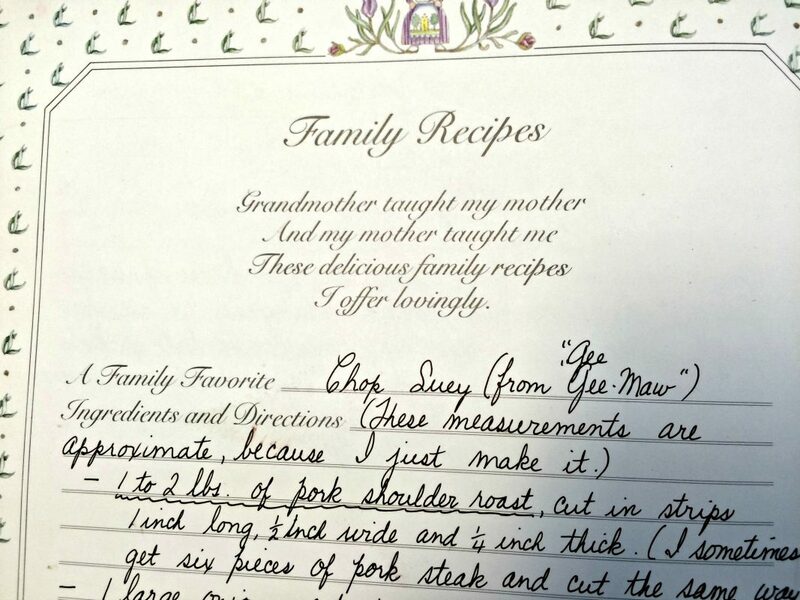 You’re the most adventurous of our family when it comes to food, reads my grandmother’s delicate handwriting in my “Grandmother Remembers” book she presented to me at graduation. I took this as a supreme compliment, along with the treasured family recipes she carefully inscribed. Though she’s been gone twenty years, I can still hear the soft clatter of saucepan lids and her gentle hum as she moved about her fragrant kitchen, taste the tangy sweetness of her homemade ice cream on my tongue, and feel my stomach growl at the memory of her caramelized apricot cobbler. I didn’t expect to move all over the world as an adult, but that’s just what I’ve done as a military wife. 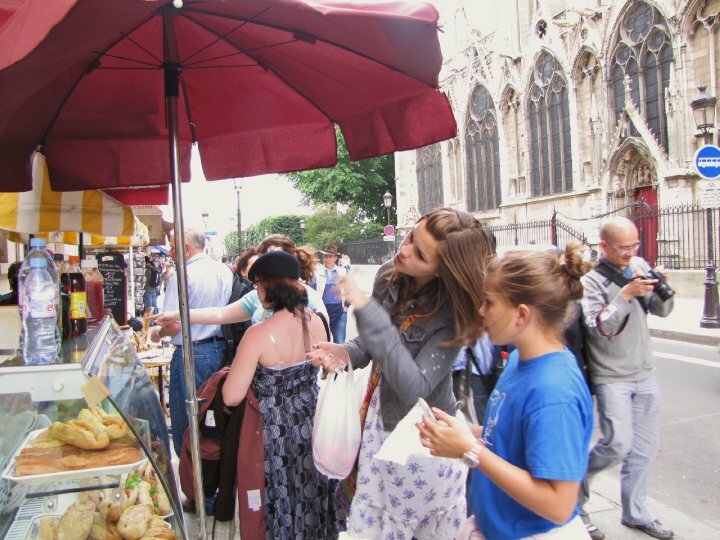 We’ve gathered new culinary memories at each assignment: Amish cinnamon bread in Ohio, giant strawberries fresh from a field in North Dakota, crepes from a little stand near the Notre Dame in Paris, kalua pig in Hawaii, Schnitzel and Gluhwein from a German Christmas market. When we lived in DC, I visited the Julia Child exhibit at the Smithsonian and hovered over her utensils and iron skillets like a true foodie fangirl. While I'll never be a contender on MasterChef or even toss food correctly in a sauté pan without sending at least a few ingredients flying, the years of cooking for my husband and four kids have made me efficient, quick, and a little bit picky (ok, controlling) in the kitchen. There’s nothing like blasting my 80's jams and losing myself in creating food for the ones I love. Since it’s easier and less time consuming to do it myself, I sometimes find myself turning my children out of the kitchen as I did their aunts and uncles in earlier years and as I was by an unthinking visitor. 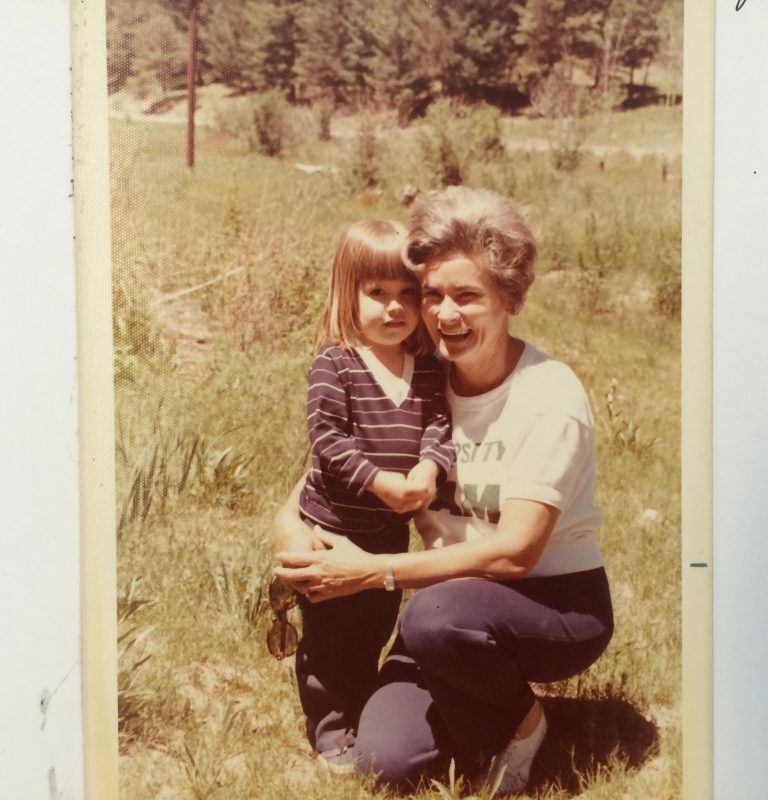 And then, I remember my grandmother, and I'm reminded that cooking isn’t only about the preparation, presentation, or consuming of the food…it’s about love, memories, and passing on sacred family recipes and skills. Why don’t you come here and let me show you how to turn that egg over easy? There you go…that’s the way. About Me: As a milspouse of nearly 30 years, I'm also now the mom of an active duty son. 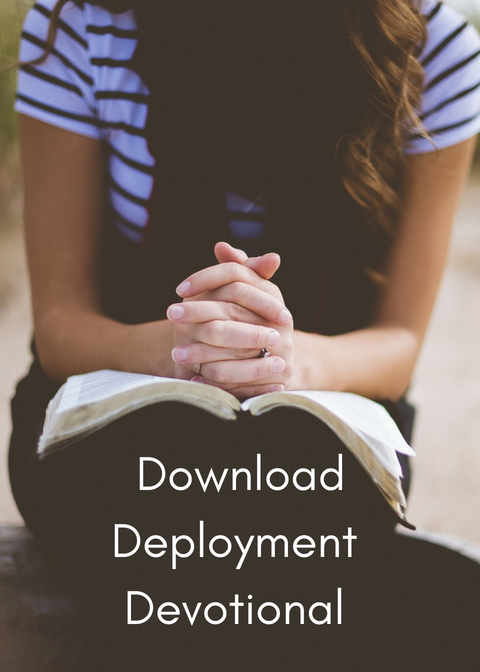 We've been through what many military families go through: years of separation due to deployments and TDYs, frequent relocations, separation from extended family, hoping we're doing right in raising our military kids...all of it. We've been stationed all over the world, including several overseas assignments, and I know what it is to start over and over and OVER again. I can look back now and recognize one thing I wish I'd known as a young military spouse...that I wasn't alone. That the experiences we faced were common to other military families and I wasn't crazy! It took me some time to realize that. I hope I can be that person for you--the one to let you know you're not alone and to whisper, "You've got this!" during the hard times. I'm here to tell you that you can not only survive military spouse life, but thrive and create your own wonderful life.